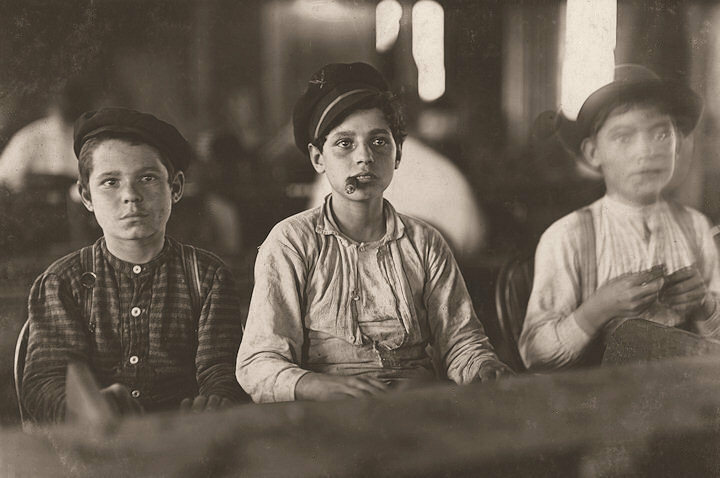 The Factory: Young cigar makers in Engelhardt & Co. Three boys looked under 14. Labor leaders told me in busy times many small boys and girls were employed. Youngsters all smoke. Tampa, Florida.